In an article published in 1895, the German acoustician, Alfred Stelzner, Ph.D. (29 November 1852-14 July 1906), wrote: "At the risk of offending some readers, I believe that in the future I will be recognized as the foremost authority on the manufacture of bowed stringed instruments, as well as the creator of the definitive form of the violin's resonating body." The physicist's bold prophecy was never fulfilled. According to a succinct entry in a mid-20th-century dictionary of vioin makers, Stelzner's experiment in violin reform "was soon forgotten." 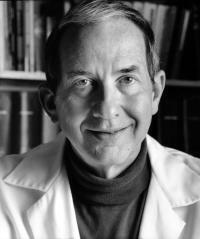 Fortunately, Stelzner's story has subsequently been thoroughly researched and re-told in the twenty-first century by James Christensen, M.D., Emeritus Professor of Internal Medicine at the University of Iowa, whose Stelzner research materials were donated to the NMM in 2008, along with a Stelzner System viola made in Richard Weichold/August Paulus workshop, Dresden, April 1893. A violinist and composer who pursued advanced studies in mathematics and physics at Heidelberg University, Stelzner was one of several 19th-century researchers who tried scientifically to study and improve upon the structure and tone of the violin. Of them all, perhaps Felix Savart (1791-1841) and François Chanot (1788-1825) are the best known. Stelzner believed that the great violins by makers such as Amati, Guarneri, and Stradivari excelled all others in their beauty of tone, in spite of his contention that their construction ran counter to the laws of acoustics. By 1891, however, experiments concerning the movement of sound waves within the body of the violin led Stelzner to make several radical interior and exterior design changes, which he patented. Stelzner argued that these changes were all designed to affect positively the direction and movement of the air molecules that produce sound-waves, resulting in an increased quantity, as well as a higher quality, of sound. The structural changes included exchanging the traditional, semi-circular form of the shoulder and tail-end of the violin for one featuring elliptical curves. These structural changes were applied to the violin, viola, 'cello, and double-bass. In addition, Stelzner designed two new instruments to fill acoustical gaps in the standard violin set. These included the violotta, a large viola that was tuned an octave lower than the violin, and the cellone (a large 'cello), pitched an octave lower than the violotta and designed specifically for use in chamber music. In spite of his best efforts, Stelzner's dream of totally revolutionizing violin building was never realized. 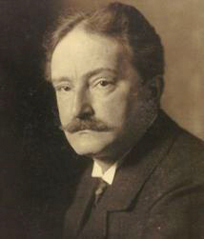 Having over-extended himself, as well as his finances, in the pursuit of his vision, Stelzner was forced to declare bankruptcy. Apparently believing that he could never overcome this financial setback, the demoralized physicist committed suicide with a revolver early on the morning of July 14, 1906, at his home in Dresden. Although the production of Stelzner's instruments came to a standstill after his death, the centuries-old drive to improve and refine the instruments of the violin family did not lose momentum. The development of contemporary American violin-maker Carleen Hutchin's acoustically designed violin octet, which premiered in 1965, is evidence that the potential of the violin family can continue to be explored. Excerpted from Margaret Downie Banks, "A Physicist's Unfulfilled Prophecy: Alfred Stelzner's Experiment in Violin Reform," America's Shrine to Music Museum Newsletter 26, No. 2 (May 1999), pp. 4-5. Alfred Stelzner's experimental work with the design of instruments of the violin family has been thoroughly documented by James Christensen, the foremost Stelzner researcher and player of Stelzner's instruments. The results of his research have been published in The Strad magazine, as well in several online resources (see links below). Christensen's Stelzner research papers, donated to the NMM in 2008, include an original letter handwritten by Alfred Stelzner (1892), along with copies of his patents, photographs of Stelzner and extant Stelzner instruments, copies of publications by and about Stelzner, and, Christensen's own research correspondence. "Dr. Alfred Stelzner: Pioneer in Violin Acoustics"
"Dr. Stelzner's Original Instruments," The Strad 112 (2001): 1120-1127. NMM 10402. Violin made in Richard Weichold/August Paulus workshop, Dresden, Saxony, April 1893. Serial no. 97. Board of Trustees, 2003. NMM 14353. Viola made in Richard Weichold/August Paulus workshop, Dresden, April 1893. Serial no. 101. Gift of James Christensen, North Liberty, Iowa, 2008. NMM 14694. Violotta made in Richard Weichold/August Paulus workshop, Dresden, August 1893. Serial no. 176. Gift of James Christensen, North Liberty, Iowa, 2012. NMM 6719. Violotta made in Richard Weichold/August Paulus workshop, Dresden, December 1896. Serial no. 325. Gift of Larry Anderson and David Folland, Northfield, Minnesota, 1998. Access to James Christensen's Stelzner Research Archive is available by appointment in the NMM's Sally Fantle Archival Research Center.